This letter was received unsolicited from a reader of RVtravel.com. We posted this in 2017, but here it is again for those who missed it first round. I’ve towed RVs to dealers for more than a decade. Half of that time I averaged well over 100,000 miles a year. All together, I’ve delivered more than a thousand RVs. I delivered two new motorhomes where they forgot to hook up the filler tubes for fuel, resulting in dumping fuel on the ground. Now I look under the motorhome when I start fueling to prevent major dumping. I’ve had the overhead front beds fall within inches of my head driving down the highway. Nine out of every ten RVs I’ve delivered had scratches or imperfections on the exterior. I take pictures of every issue to protect myself. I’ve seen water running throughout the motorhome from a heavy rain because of slide issues. I delivered one this summer where the overhead light in the bathroom was full of water. We are told by the transport company not to tell the dealerships about any of the problems we find in our inspection before we leave the factory. But I do just the opposite because I feel it only right for the dealer to know. I show the photos to the person inspecting the unit when I arrive at the dealership. I tell them I will lose my job for showing them the issues but I feel it is only right for them to know what I found in my inspection. I gain their trust and they take the credit for finding the things wrong. I have delivered several RVs with torn material in the sofas and benches in the eating area. Just a week ago the escape window in the rear bedroom area of a motorhome would not lock because the latches were not even close to matching up. I spent over an hour making adjustments so I could leave. WITH SEVERAL MOTORHOMES, the interior trim fell off before I got to the dealership. One big issue on some motorhomes is the sewer outlet is inside a compartment with an opening through the floor for the hose to connect. Some of holes don’t come close to lining up and it would be impossible to attach a hose. I delivered one class A where the gasket for the windshield was flipped over in one corner above the driver, so the dealership would need to remove the windshield to correct the flaw. In 2016 I refused to take more than a dozen motorhomes because of the issues I found. They all went back to the manufacturer. I delivered a travel trailer where the tongue broke off. Thank God it broke completely as I pulled into a gas station. The manufacturer hired a company to build a new front hitch assembly for the trailer and they strictly told me to say nothing to the dealership. Not receiving our RVtravel.com newsletter? Then you’re missing out on a weekly dose of news, information advice about RVing. Published online since 2001. Sign up here. No spam. Easy unsubscribe. The quality issue has grown worse since I began delivering RVs. Some of these motorhomes I deliver today, I just think to myself that some nice person who has saved all his working years to buy an RV to fulfill his dreams, is going to buy a nightmare. And the RV manufacturers couldn’t care less and the dealerships are not much better. More than once I have thought about selling RVs but I could not bring myself to deceiving the public just to make money for myself. I hope some of these experiences help you understand where I come from. I admire you Chuck for addressing this issue because the public should be aware of this before they spend their hard earned money. I imagine there are some issues I have forgot but these are some of them. Name withheld so he doesn’t get blackballed from future deliveries. Read more stories like this at our Facebook group RV Horror Stories. You do not need to register with Facebook to read the messages from group members, only if you want to contribute to the discussion. Den, we held his name so he wouldn’t get blackballed and lose future work. If you don’t want to believe what was written here, that’s fine. We understand. But we do have his email with his real name, but just not going to reveal it to the public. I admire him for having the guts to write to us about this. I am the source for this article. I delivered rvs for over a decade before leaving the job in 2018. Everything in this article is true and I could add countless more experiences I encountered during my years delivering new rvs. It is your choice to believe the facts I reported to this newsletter. But I live to this day with a clear conscience that I showed dealerships what I found to be wrong with the units I delivered even if the transport company insisted I keep my mouth shut and just deliver the unit. One reason I will never buy new. I believe every word you said because I had a friend that also delivered New RVs and had the same issues as you did. Rockwood from a dealer. Went over it top to bottom. Found 2 items to be repaired. Came back in 2 weeks to pick it up. Both items were repaired, they adjusted the hitch for my pick up & off we went. Vacationland RV, Big Rock, IL. We also bought a new Jayco in Sept of 2016 and it had few if any problems. We found a GREAT shop in Buford, GA (Southland) even though we bought the extended 5 yr warrantee thru CW. The one issue; safety related; was when we had the TPMS mounted by a tire supplier and he showed us a “temporary” tire plug in one of the tires. Deadly potential as we had driven 11,000 + miles on it. We have replaced all five tires and are as happy as can be with our WhiteHawk.\We got lucky!!! I like Buzz Electric’s idea. Could the lawyer s at RV Travel put together a contract for the dealer to sign before the sale? All the delivery drivers need to stand up and refuse to deliver the RV’s. Once they are all backed up at the factory, and the factory isn’t getting paid from the dealers, maybe they will start to do something. Yea right. All the buyers need to educate themselves on what junk looks like & only buy from the very few quality producers but they cost a bit more so the junk keeps rolling. So who are the manufacturers making such crap and why isn’t there a law against this? Why aren’t RVrs DEMANDING better quality? This is why my husband and I will not buy an RV right now although we could afford a very elite one. We don’t trust the industry. We’ll rent when we would like to take a road trip with an RV, thanks. Until we see some major quality changes, we won’t be buying. There are some very sturdy, well-made used RVs out there for sale that were built by companies that cared about quality. One good example is Carriage, which was around for 42 years before it went belly-up during the recession. At the time we bought ours new in 2010 it was one of the few companies that made 5th-wheels well enough for full-timing or extended travel. Another was Mobile Suites. Perhaps you can find a good deal on a well-maintained *used* RV of some type. We had Canadian built 29 foot class C Bigfoot bought new in 2008 and it was great quality. Unfortunately I don’t think that company now makes RVs, only trailers and campers. Our next purchase was a 2018 Tiffin Open Road 36 foot class A gas engine. We have had a few little things we wanted fixed, but the company really stands behind its products. All issues were timely fixed without charge. We love it! This is why pre delivery inspection is vital. Wow! What a testimony against the industry! He obviously cares enough about the new and/or potential owners to make the defects known to the dealers at risk of his own livelihood. For that, we all can be thankful. He makes me even more glad to be a subscriber to this newsletter, to enable Chuck and his team to continue to expose the manufacturers and their total disregard for safety and complete goal of lining their own pockets. Thanks for bringing his letter to light. I just found this site. I am thinking about going to an RV show today. My wife and I have been looking at RVs for two years. I try to be smart with my money. Due to all the defects and flaws, I see and read with RVs about. I find it hard for me to spend that money, even though we really want an RV. Chris: Continue to do your research, but please don’t buy an RV from an RV SHOW! That is one of the worst places to purchase an RV, even though it may be a “SHOW SPECIAL”! Dealers do the show specials to move their OLD inventory that has been sitting on their lots. And the RV “Show Special” you see, will probably NOT be the one you take delivery of! Continue your research, BE Careful and Good Luck! This is not entirely true. We were at a show in Phoenix last year and, while not looking for a new RV, enjoying looking at the new stuff. There was one 5’er with the dining room in the front that we really liked. Went back the next day (just to look at it, not buy it), and it was GONE. Someone bought it and had it taken out. Guess they didn’t want folks traipsing through their new trailer. Smart move. I only hope it turned out to be as good a trailer as it looked to be. Don’t buy from General RV. Yes they will shake your hand for another sale notch in there belt and that is the last time you work with them. Make sure you do your homework and maybe it’s not bad looking for mom and pop dealer ship who like there return customers! Are RVs made overseas have these issues? Is the quality better than the USA? In the auto industry foreign competition seemed to help. It is obvious RV owners need more political pull and get lemon-laws enacted. The RV manufacturing industry is able to buy the politicians so laws are not passed to protect those purchasing RVs out of good faith. It would be great if one sincere honest politician would step up to the task and say that he or she would be a politician for the RV’ers. Not a bad idea, Robert! My husband and I have been looking at new 5th wheels, wanting to buy a little bigger one than we have, but after reading all the horror stories we are afraid to buy. Does anyone have any advice on how to find one that isn’t a piece of junk or are there no good quality ones out there? 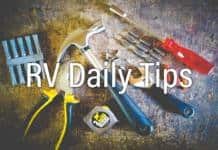 I highly recommend the RV Consumer Group (www.rv.org). When I was shopping for my last RV, I checked them out and was very glad I did. They rate all types of RVs. Look at Nash products from LaGrande Oregon. Bought a 2007 32′ Arctic Fox 5th wheel used in 2013. It travelled from AZ to Alaska, to TX, cross country to MI, down to the Keys, back to the west coast over 3 years of full timing. Normal wear/tear problems, but very well built overall. Had a delaminating side panel, don’t know what the fix would be. Small company, builds their own gear. They have other product lines. Worth looking at, for sure. I had Jayco feather that had the slide out tent extensions a few years back. The siding started having bubbles or delamination of the outer skin. It was sent back to the factory to have it repaired. It came back from factory saying it could not be fixed plus the vent hood above the stove fell down during the return trip from the factory I left it at the dealer saying I will not accept an RV that cannot be repaired. The dealer finally refunded my purchase price. It would take a lot of space for me to share the problems I’ve had with my 2010 Fleetwood Tioga Ranger. Mostly cosmetic but aggravating just the same. It spent the first several months in the shop. I bought it. new thinking I would avoid all these problems. Wrong. I sent a full single spaced typed letter to Fleetwood plus several phone calls before getting most of the initial problems fixed. or 4 go back maybe they will smarten up after paying huge transportation bills. Great idea Butch, but if dealers send units back, they would most likely have to pay the freight, and I don’t see them doing that. And, if you don’t have any inventory, you can’t sell anything. Dealers are in business to sell, not do QC – unfortunately. I am thankful that I purchased my last Class A diesel pusher 2002 Monaco Windsor first after doing significant research back in 2003. I would not want to purchase any of the “junk” that they are making and selling these days. We are just finishing a summer trip after driving nearly 7000 miles without any mishaps or problems other than I need to replace my aging House Batteries once I get back home. They are just over 5 years old and were installed in August of 2012 while in Fairbanks Alaska back in 2012. You said you could not sell RV’s to poor unsuspecting people. What is the difference between selling junk or delivering junk. I think the writer is part of the problem. The driver may as well deliver the “junk” or the manufacturer will hire someone else to do it. The driver is not the problem unless you bring in lemon laws, a union for drivers so they can, as a group, refuse ALL bad deliveries. and you know that will never happen. At least this driver has the b#>>s to tell the dealer the problems at the risk of losing his job. How many whistle blowers are reading this today who didn’t pay for it? Arthur, I need to disagree with you. The driver was concerned enough to let me publish his story. Most drivers would keep their mouths shut. This is one of the good guys. Arthur,why does Everyone want to SHOOT the messenger and not the Mfg??? Everyone doesn’t. Many of us are rightly commending this fellow for standing up and speaking out. Wow, sad state of affairs where product problems are not owned by manufacturers but covered up before delivery to their customers. Aligns with this series of articles about sad state of industry as a whole. There are some good brands out there, but buyers must do their due diligence and/or hire an expert to inspect before accepting units. We love you Chuck. Keep addressing the needs of the RV industry. Thank you. for all you do. I agree with John Stall, Chuck! I do have a problem although not severe. No need to elaborate at the moment. I would ask if there is any knowledge of how many people you need to start a class action suit though, seems that something of that nature might get the industries attention! !